Superdry women’s Tayla velvet skater dress. 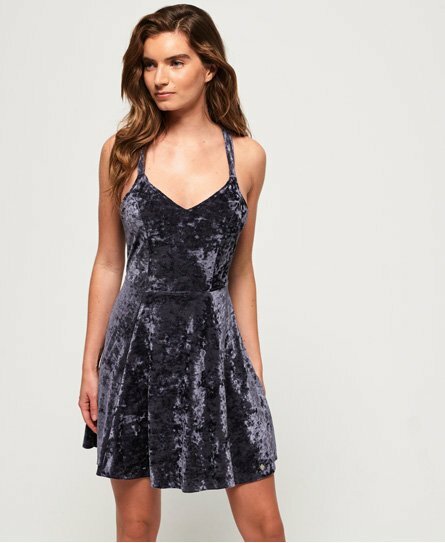 Every girl needs a party dress, and the Tayla velvet skater dress is the perfect on-trend update for any wardrobe. Featuring a luxurious crushed velvet fabric throughout, crossover straps, a zip fastening at the back and a subtle Superdry logo badge above the hem. The flattering skater fit of the dress looks great paired with heeled boots.